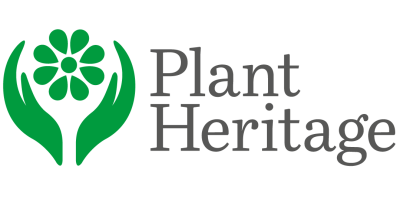 The world’s leading cultivated plant conservation charity, bringing together the talents of botanists, horticulturalists and conservationists and the dedication of keen amateur and professional gardeners. Through a number of conservation projects, including the National Plant Collections and Threatened Plants Project, we are helping to safeguard our unique garden flora across Britain and Ireland. Many of our once loved garden plants are quietly vanishing forever. Once a garden plant is lost to cultivation, it's lost forever. We keep rare plants growing…How do we achieve this? Holders of more than 600 National Plant Collections® around the UK search out and grow the widest range of their special interest plant group, identifying, documenting and conserving them in private gardens, allotments, nurseries, local parks, botanic gardens and historic estates. Our Threatened Plants Project is working to identify garden-worthy plants with the highest risk of extinction, with the ambition that these can be conserved in National Plant Collections and our Plant Guardian scheme. As a membership organisation, our network of local groups, from Cornwall to Scotland, organises activities to keep plant variety in our gardens. By becoming a Plant Guardian, our members can become personally involved in saving some of these rare plants in their own gardens. By offering and receiving rare plants through our free annual Plant Exchange. Every year approximately 1,000 rare and unusual plants go to new homes across the country, keeping them in cultivation and safe for future generations. The National Office is located in a modest building huddled against the garden wall of Loseley House, a beautiful historic house near Guildford in Surrey. From here the small team work hard to handle membership enquiries, charm sponsors, administer the Collections Scheme, oversee the Threatened Plants Project, write newsletters and Journals, run workshops, liaise with other conservation organisations, help the media, orchestrate the Hampton Court Marquee, consolidate the accounts, and juggle a thousand other tasks. We welcome volunteers! Please get in touch if you would like to contribute your skills and enthusiasm to a worthy cause.